Computerworld – Google on Thursday announced that it would require new Chrome extension developers to pay a one-time $5 registration fee as a way to stymie malicious add-ons for its browser. The company also launched a preview of its Chrome Web Store, giving developers a chance to experiment with the online mart before it goes public later this year. Developers can use the store to give away or sell theirbrowser extensions, themes and Web apps. 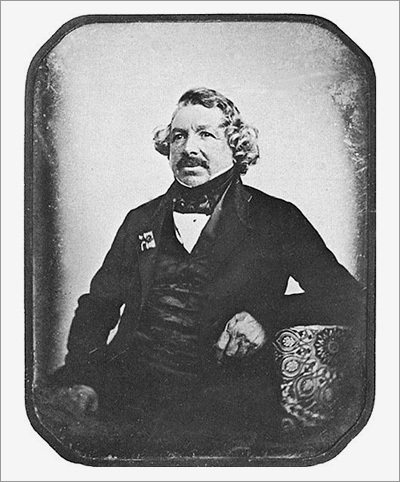 1839: With a French pension in hand, Louis Daguerre reveals the secrets of making daguerreotypes to a waiting world. The pioneering photographic process is an instant hit. Using chemical reactions to make images with light was not quite new. Doing it fast was. Inventor Joseph Nicéphore Niepce created a rough image using silver salts and a camera obscura, or “dark box,” in 1816. The image faded away quickly. Another decade of work led to the first permanent photographic image, when Niepce fixed a shot of his courtyard onto a pewter plate. The exposure took eight hours in bright sunlight. Niepce continued researching in hopes of making the process faster and more practical. Daguerre was a successful commercial artist hoping to increase the realism of his giant diorama paintings, some of them 70 feet long by 45 feet high. When using a camera obscura to sketch the outlines (or cartoons) for his paintings, he thought it would be better to create images directly with the camera. He began experimenting. Daguerre’s optician told him about Niepce’s work. Daguerre and Niepce began a correspondence that turned into a partnership in 1829. Niepce died in 1833, and his son Isidore labored on. But it was Daguerre’s advances with silver-plated copper sheets, iodine and mercury that cut exposure time down to minutes and created positive rather than negative images. Daguerre was unable to sell his process by subscription, but it caught the interest of François Arago, perpetual secretary of the French Academy of Sciences. It was under the auspices of the academy that Daguerre first displayed his daguerreotypes to the public on Jan. 9, 1839. They created a sensation.